A number of programs offer a closer look at the activities at our department and partner institutions, while also giving an insight into the different research fields. Nanoimprint lithography lab. Photo: Oscar Adrian Jiménez Gordillo. Would you like to gain further qualification in the field of nanotechnology, while learning more about German culture and language? Then “Finding Nano” is exactly the right Summer School program for you. 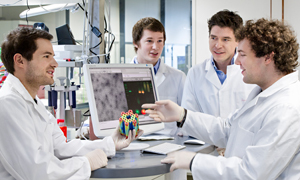 The Physics Department is involved in a large number of research clusters and initiatives related to nanotechnology, such as the excellence cluster NIM (Nanosystems Initiative Munich). Please check their website for more details: Finding Nano. The Nanosystems Initiative Munich (NIM) is inviting Master students who are seeking a PhD position in nanoscience to join them for eight weeks of compelling and demanding nanotechnology research during the summer break (July - August). Please check their website for more details: NIM Summer Research Program. The course covers the main aspects of plasma physics with emphasis on nuclear fusion. The lectures –­ held in English – are designed for physics and engineering students who passed their bachelor courses or just started their PhD. Please check their website for more details: IPP Summer Uni. Since 1984 the Ferienakademie offers every year a program of courses, which is meant to nurture the talents of highly motivated students. The courses take place in Berggasthöfen in Sarntal statt and they are fund by donations of companies and of friends' associations of the universities involved. Please check their website for more details: Ferienakademie in Sarntal. 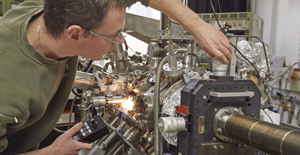 Each summer DESY offers undergraduate students in physics or related natural science disciplines the possibility to participate in the research activities of the laboratory. Selected candidates join in the day-to-day work of research groups at the DESY Laboratory in Hamburg or Zeuthen (Berlin), as well as visit related lectures and participate in specific research activities. Visits to the accelerators and experiments are also included in this program. Please check their website for more details: DESY Summer Students. The Summer School programs are designed for international Bachelor students interested in pursuing a Master at TUM. In the Summer School, students get to know the university while gaining exposure to German language and culture.